Comfort makes all the difference to the success of your sleep therapy; and comfort starts with the mask. ResMed's Swift FX brings new meaning to comfortable therapy with a flexible, super-soft fit. From the tip of the nasal pillow to the soft, secure sides with soft strap wraps... the entire system enhances comfort. 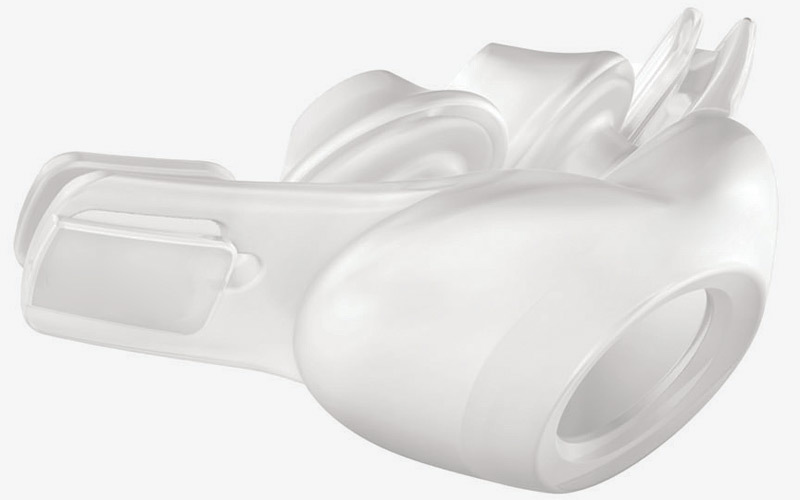 The Swift FX's soft, fluid form conforms to your facial contours and follows your every move... There's nothing hard about it, the Swift FX features soft, silicone headgear with a low profile back strap for easy, fine adjustments. Because the headgear is so minimal it works well in any sleeping position. 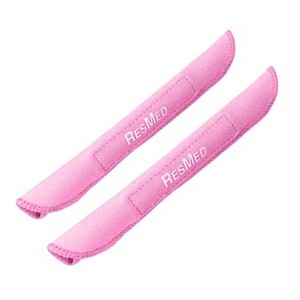 In addition ResMed includes soft strap wraps in each mask pack for added comfort. 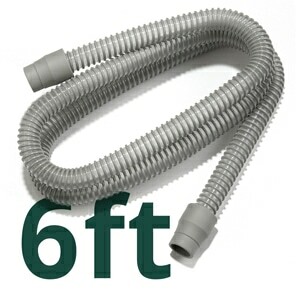 The Swift FX uses Spring-Flex lightweight tubing to minimise pull on the mask and enhance stability. Dual-wall pillows and flexible cushion base maintain seal while adapting to movement. The innovative vent design on the Swift FX diffuses airflow for quiet mask performance - only 25 dBA. The flexible headgear and self-guiding nasal pillows are easy and intuitive to adjust for your perfect fit. While Straightforward assembly and minimal parts allow quick and convenient cleaning. This was my first transition from a full face mask, and WOW what a difference. I have full mobility to change sleep positions and not worry about leakage, or whistling. Tends to whistle with facial hair. I used FX Nasal Pillows for a few years but was plagued with leaks. Recently I switched to Nuance Pro mask. It’s the best for me. Sorry FX. I tried the mask version and it was a disaster. I decided to order the nasal pillows and am pleased with the fit. 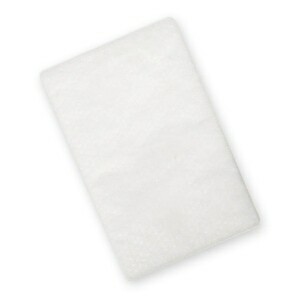 Three sizes of nasal pillows are included with the order which is great in trying out the size that works best. My nostrils are mildly sore but not alarmingly so. I put a little antibiotic cream on my nostrils which helps seal and also avoid irritation. After trying several nasal pillows, the Swift FX is the one that fits me satisfactory. I especially like the pads that go with it and I now get a good nights sleep. I recommend this to anyone. 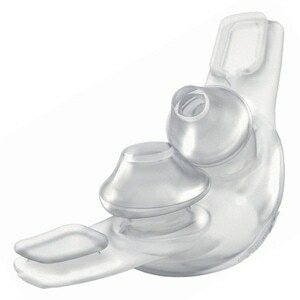 Since I use a Res Med S9 machine I thought the Swift FX Nasal Pillows mask might work for me but unfortunately not. I was never able to get a good fit and prevent it from leaking. I had tried a F&P Pilaro Nasal Pillows mask before and had the same problem. Evidently, I'm not able to use pillow masks. I LIKE THIS UNIT. WORKS GOOD JUST TRYING TO GET USE TO IT. This mask is a major upgrade in comfort over my full face mask that I struggled with for months. The medium worked for me but I found that the large had larger openings and allowed for a more natural exhale and a more comfortable flow of air. The Swift FX is the best mask/nasal pillows I have used. Lightweight and stays put. I have worn every mask you can think of over the years from full face coverage down to this and believe me when I tell you this is the most comfortable mask I have ever worn. I use a BPAP machine set at 15 & 9 cm and have no issues. Love this style. I hate anything that makes me feel, constricted. This headgear is comfortable and does not have too many parts. THIS MASK SEEMS TO WORK WELL SO FAR. AIR NOISE IF HAVE THE HOSE RUNNING DOWN FROM YOUR NOSE. SEEMS TO QUIET DOWN IF YOU RUN THE HOSE OVER YOUR HEAD. LIGHT AND COMFORTABLE MASK. The lightest and easiest to use ever. Super fast shipping and prices are very reasonable. A lot cheaper than a co pay for the doctor and the 20% your insurance doesn't pay. I thought there would be a bigger change going from CPAP to BiPAP but it was not bad at all. I was on oxygen an my Dr wanted me to try the first few weeks with the BiPAP only to see if that was all I needed. So now I am going to have an overnight pule ox to see if the o2 is staying up. Thanks so much. I have used cpap for nine years, and this is the best head gear I have ever found. Once I put it on, I rarely have to re-adjust it even though I am an "active" sleeper. My spouse also notes that it is very quiet. I have a new favorite! 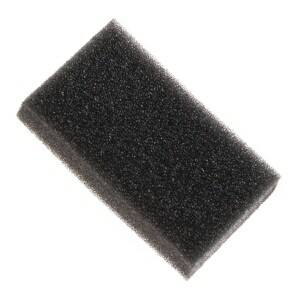 Pro's: Very minimalistic design,very lightweight, and high quality like other RESMED products. Con's: Could not get it sized and adjusted so that it would not leak when moving or too tight and causing pain/marks. I like the mask very well. I have found it has a little more frequent leaking of air than with my last mask but overall it is more comfortable. The mask is the best one I have ever used. It was easy to fit and adjust. Would like to suggest the option of only buying the necessary nose pillows. I only use a lrge, so the small and medium are not needed. A bit of a waste. A huge improvement over my old, ADAM mask. The nasal pillows are much softer and don't create welts on my nostrils. The ADAM mask was noisy, and air through the vent was a cold stream. This vent is almost silent and air through it is a gentle breeze. I also don't like straps just above my ears, where my glasses go, so this headgear is much more comfortable. Have used a CPAP for 11 years. Have mostly been pleased with advancements in mask technology as related to comfort and ease of cleaning. This mask is a quantum leap. By far the most comfortable (and quiet I am told) that I have ever used. Works equally well sleeping on my back or side. Highest recommendation. I've tried about half a dozen different mask systems in the 10 years I've been on CPAP, and the Swift FX is by far the best I've used so far. I've been using it for only a week or so and I haven't found anything not to like! It's the lightest, least obtrusive, and the least likely to lose the seal during the night. Sleeping on your side won't push the nasal pillows aside like so many systems. I'm still trying different strap positioning and tension to maintain the perfect seal and comfort level, but even at that I'm still satisfied that this might be my last experiment with mask systems.